If you’re like me and you’re busy raising kids in a mobile world, the increasing popularity of mobile technology and the Internet often make it difficult to manage Internet safety for kids. It’s also important to plan how you’ll bring technology into your child’s life. As a parent of a 13- and 10-year-old, I am constantly questioning how much is too much gaming, social media, and online access for my kids. Following are some best practices on how you should discuss and monitor Internet safety for kids with your children. Help your child understand the risks. Be aware of the Internet resources your child accesses. Explain to your children that there are websites and apps out there that are meant to cause harm. If you aren’t Internet-savvy, you should read up on Internet safety for kids before allowing your child access. You’ll either want to train your child to stay away from dangerous sites and apps, or enable some form of parental control on your device for safety. If you’re anything like me, you’ll do both. I knew that something was amiss when my 13-year old turned away when he was texting — he didn’t want me to see who or what he was texting. Addressing this with him and explaining that having the device is a privilege and not to be used secretly has made all the difference. 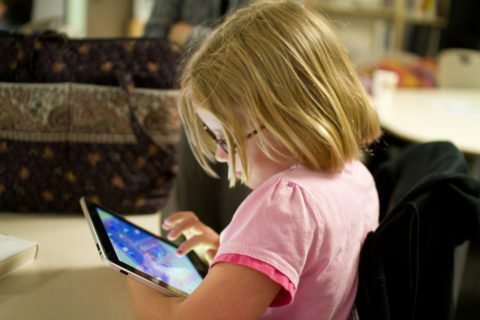 Too much exposure to the Internet and mobile technology can cause a child to become addicted to the charm of mobile games and instant gratification. Leave the house enough to get physical activity. Enjoy or want to participate in family activities. I don’t allow my kids to bring their devices to the dinner table, to a restaurant, or to any family activity. This has helped to enhance our time together. Of course, this means I don’t use my mobile device during these times either. Your young child’s online risks are quite different than your teenage child. Here are 5 signs that your teenage child may be in danger online. Finally, you’ll want to keep track of which websites your child visits and what applications they use regularly. Some parental control apps and programs will help you keep an eye on your child’s Internet activities. At the same time that I witnessed my son hiding his texts, I realized he was deleting certain texts from his phone. Sitting down and discussing this with him was only one part of the process. Then I quickly found that there are websites and apps that allow parents to monitor all texts, even those that have been deleted. TeenSafe and PhoneSheriff are 2 highly rated monitoring programs worth looking into. Whether it’s in the form of a computer, a tablet, or a cell phone, the Internet can be a dangerous place for children. Just like you would with any potential danger, you need to educate and monitor your children while they’re exposed to it.